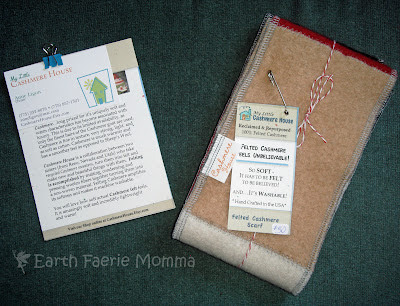 My Little Cashmere House has given me this lovely recycled cashmere scarf to review. 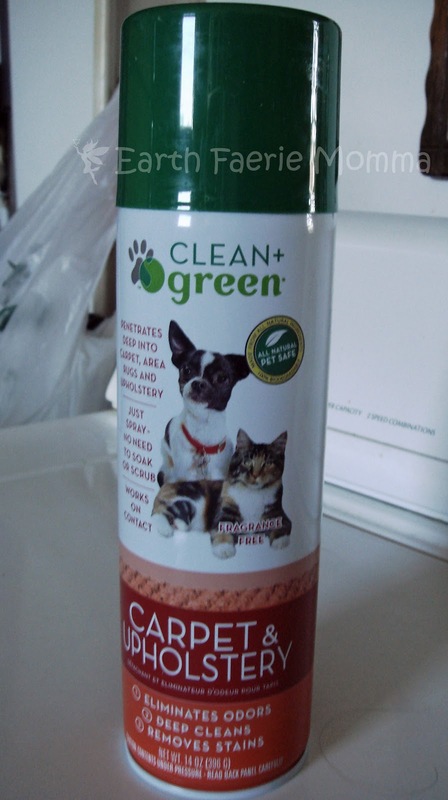 What could be greener than recycling? It all started three years ago. Anne discovered how to felt cashmere sweaters. She pulled out all the cashmere sweaters she had in her closet and put together a lovely blanket for her father. 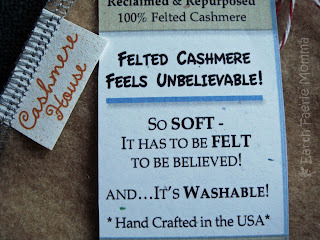 Cashmere, being so soft and luxurious, was even better when it was felted. Everyone adored it. 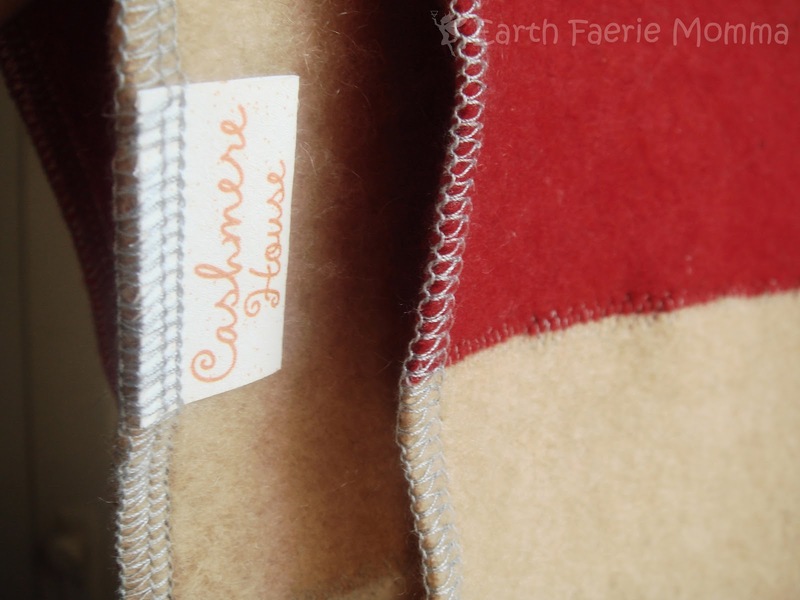 Anne Ligon and her sister started My little Cashmere House and have had their Etsy shop up for almost two years now. Anne loves to create things that make people smile and keep them feeling warm. When she isn't scoping out thrift stores for sweater, she is spending time at Lake Tahoe; biking, hiking and kayaking. This scarf is so unbelievably soft. 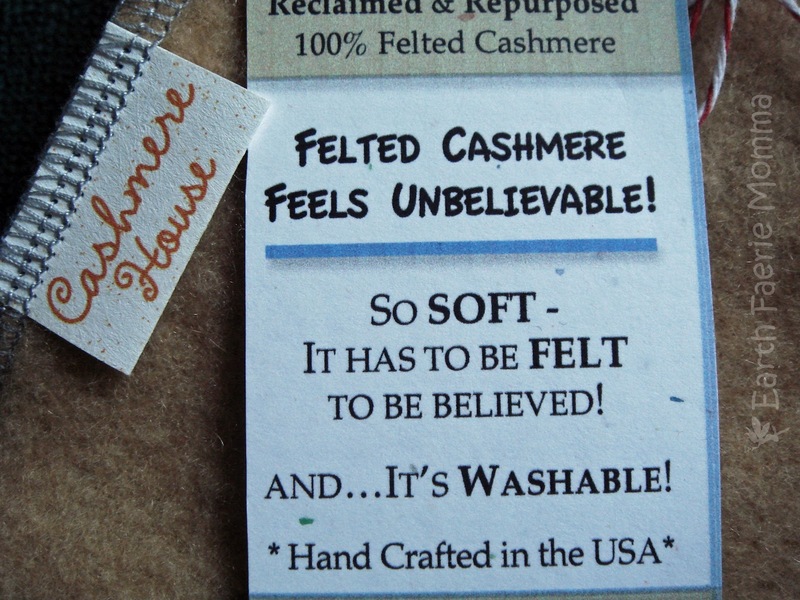 As they say at My Little Cashmere House "It has to be FELT to be believed" It is very light and comfortable to wear. I am a big fan of wool. 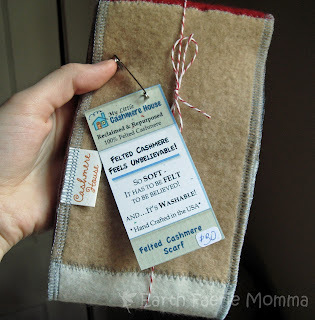 I have been using wool as a diaper cover for my baby at night. So, I know the power it has. 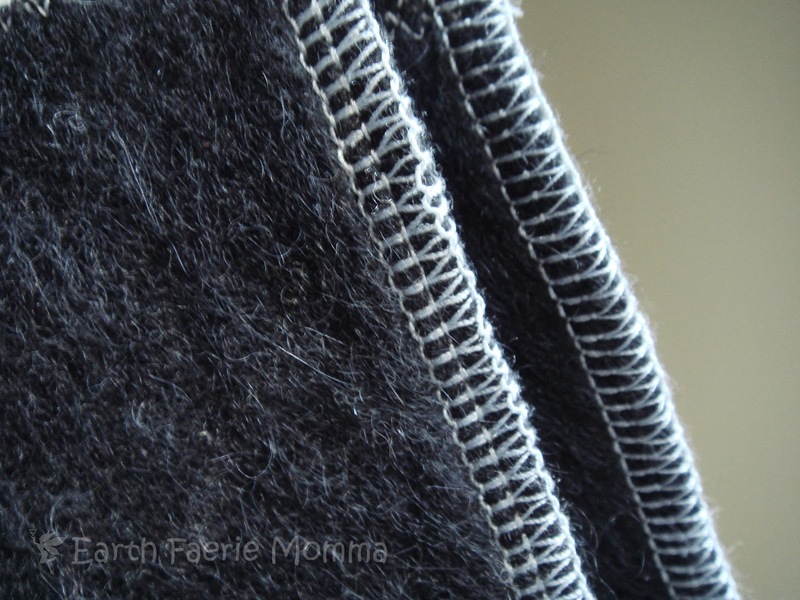 Cashmere is one of the best types of wool and it comes from a goat! It is more lightweight than other type of wool and it provides the best insulation. This scarf was made from re-purposed cashmere wool sweaters. 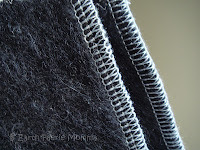 First it is felted, which is quite a process, turning it into a non-woven material. 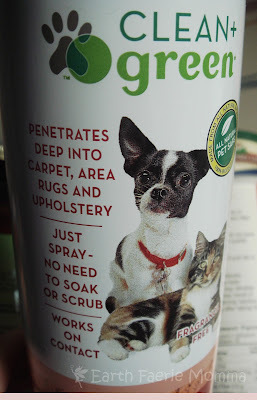 This makes it strong and machine washable. It also makes it even softer! Then each square is cut out and carefully serged together. 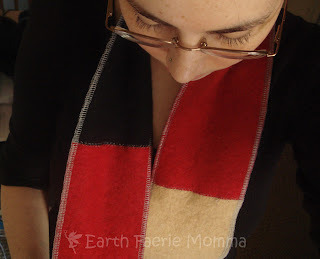 The stitching on this scarf is beautiful. 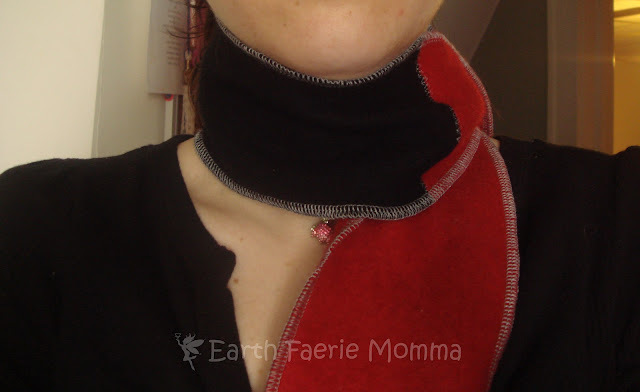 My favorite feature (besides how incredibly soft it is) is the stitching in contrasting color. Being a sewer myself I know how hard it is to keep the stitches nice and neat. I tend to use matching thread so you can't see my mistakes. I have yet to find a flaw on this scarf. You can tell that it was made with tender love and care. Buy one here. 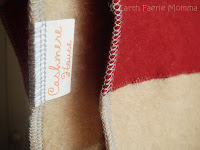 My Little Cashmere House sells more then just scarves! They make safe kids toys and cozy blankets too! Until June 1st, Earth Faerie Momma readers will get 10%off!! Just use the coupon code "10forearthday". Come back April 12th-22nd for the Earth Day event for a chance to win your very own scarf valued at $30. 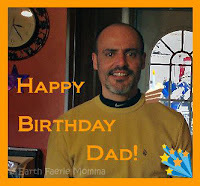 I know another birthday just makes you feel another year older... But to me, It is another year I have gotten to know you. I would not be where I am without you! I love you! Thanks for joining me today! I know you have all been anticipating this event as much as me. Now is your chance to win! 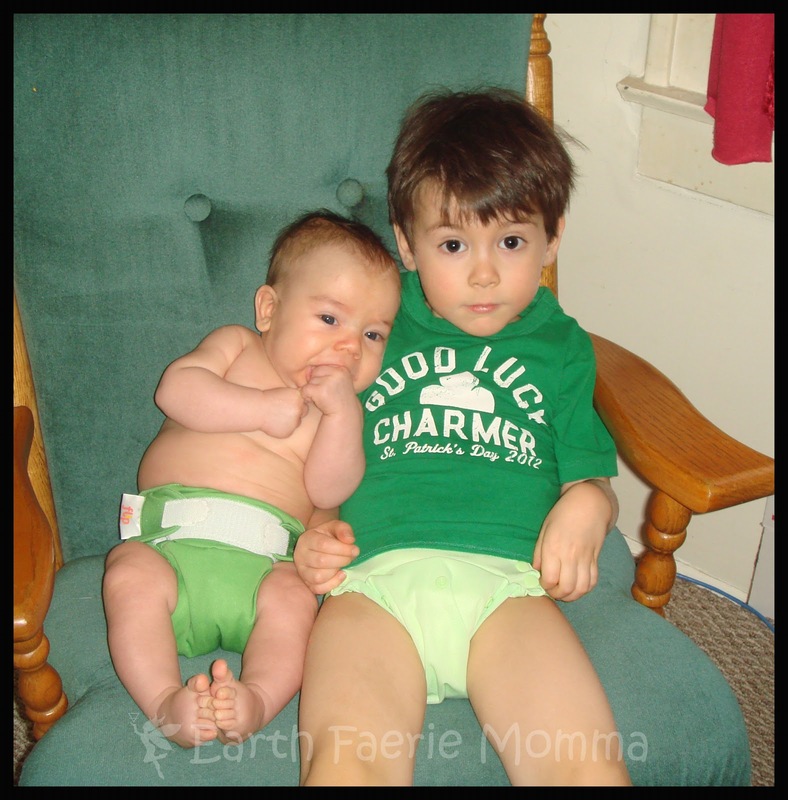 If you have never heard of Booty Buns cloth diapers then please read on! This post can now be found at Organic Eco Baby. 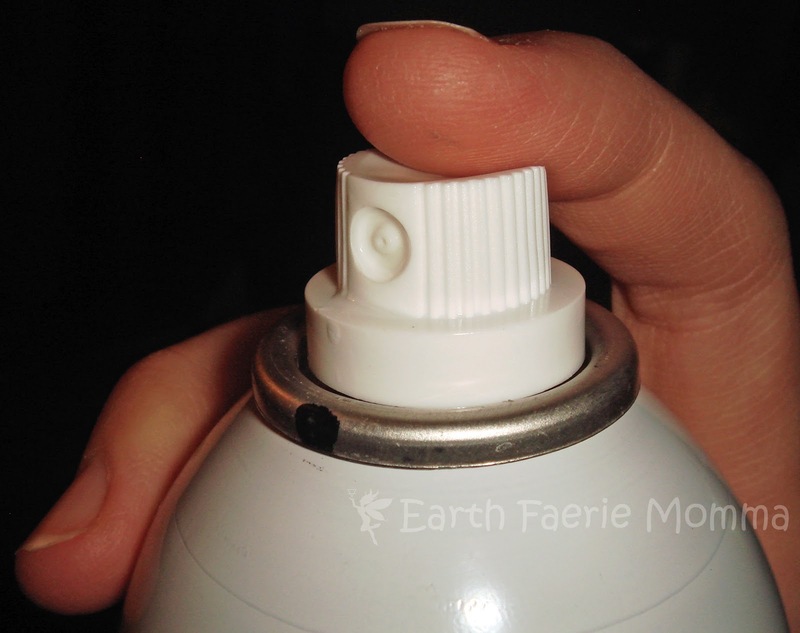 How to make homemade hand sanitizer. 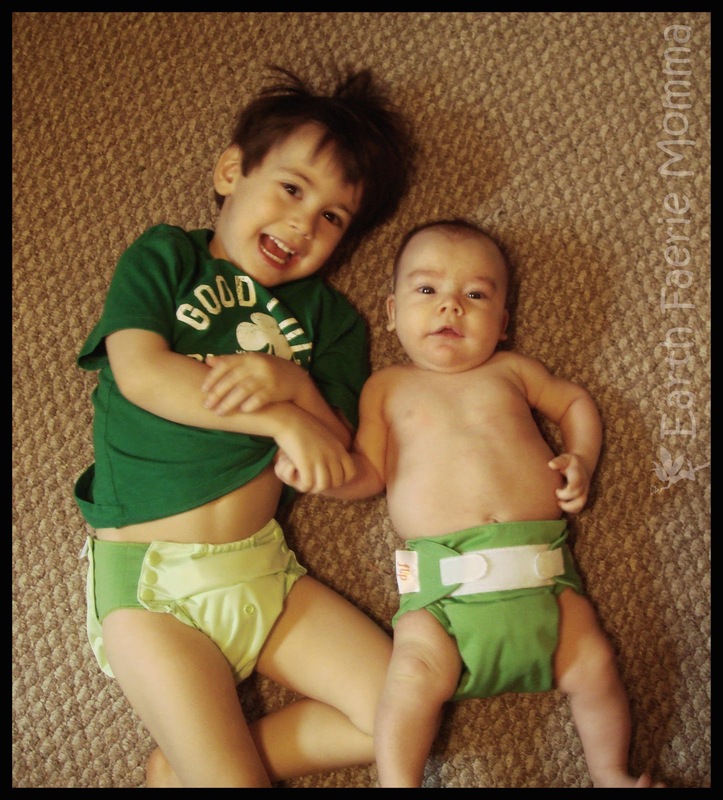 Sunbaby diapers were started by Sun pei, a wife and mother in Shanghai, China. Her diapers are produced under fair labor conditions. She and her husband are the only sellers of Sunbaby diapers in China to ensure quality. You can read more about their story here. They have great customer service and Sun pei has personally answered all of my questions. I have been using Sunbaby diapers for over 2 months now and I am very happy with them. Sun pei was willing to send me a diaper to review and will also be sending one out to one lucky Earth Faerie Momma reader.